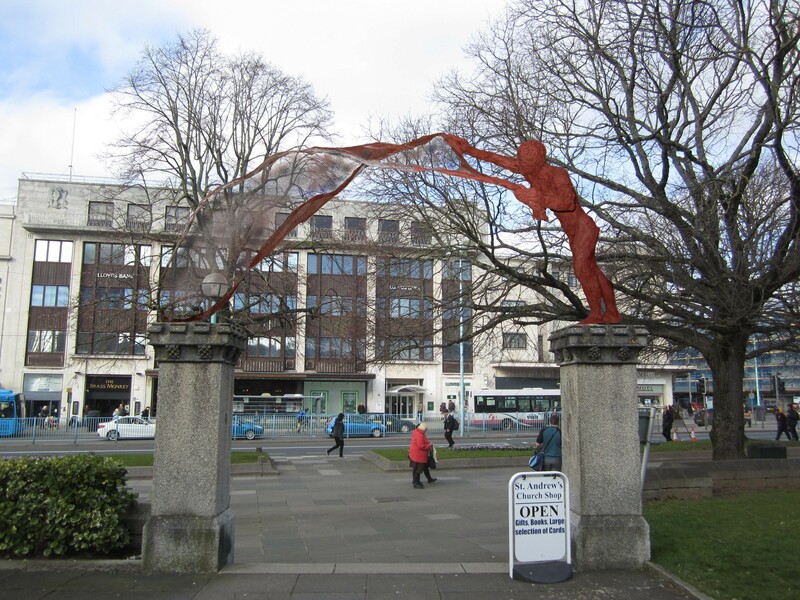 Established in 2012, the minster’s ‘Art Commissioning Group’ (ACG) initiated a period of consultation with artists and experts engaged in the commissioning of public art. The ACG felt it imperative to encourage involvement from the many aspects of Plymouth community linking with the local world of art. Including the initial research stage, we have engaged with numerous Partners. Staff /students of contemporary crafts at Plymouth College of Art (PCA). A specialist practitioner in metal craft and sculpture who guides students through stages of design and delivery of art commissions. The creative art facility ‘Flameworks’; one of the largest managed workspaces for artists in Devon/ Cornwall. Plymouth Community Planning and Partnership Coordinator- organising a workshop for parishioners/ general public to explore and suggest ideas.